“Designed from the ground up” as Samsung’s executive claims. Today, Samsung reveals the next big thing. 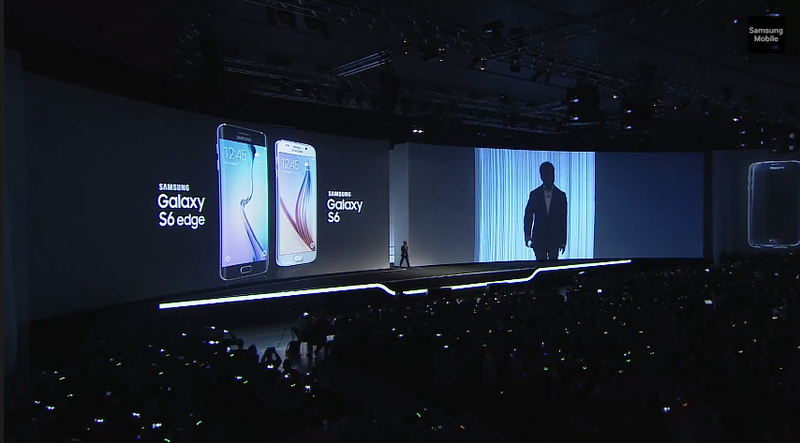 Say hello to the Samsung Galaxy S6 and the Galaxy S6 Edge. Depend on colors, the phone will either be glass-metal construction. Gorilla Glass 4 is featured on both sides to ensure durability. The two newest Galaxy us packing better, faster SoC, brighter displays, and most important of all, Wireless-charging. *A note on the SoC, it is the Exynos 7 Octa, an Octa-core chip, a combination of a quad-core 2.1GHz and a Quad-core 1.5 GHz. Design wise, it is obvious that Samsung has been taken note of the feedback, and applies it to make a simpler, yet more elegant smartphones. 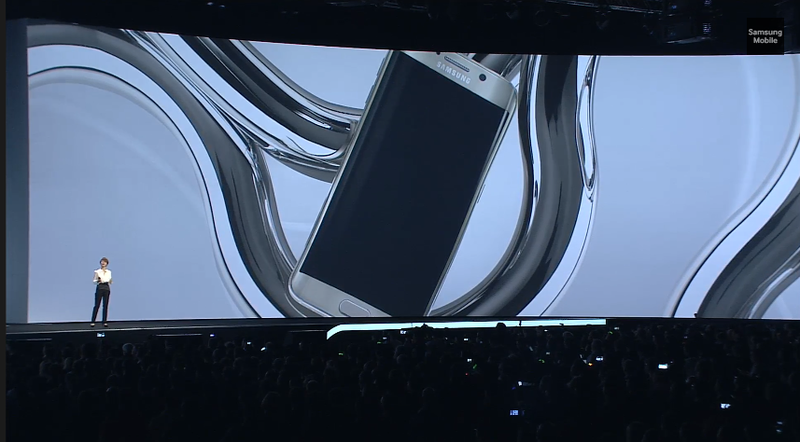 Again, takes notes from the Note Edge, the Galaxy S6 Edge curves on both sides of the phone. This fits from both right-handed and left-handed users. The phone is available in 5 different colors, shown above. 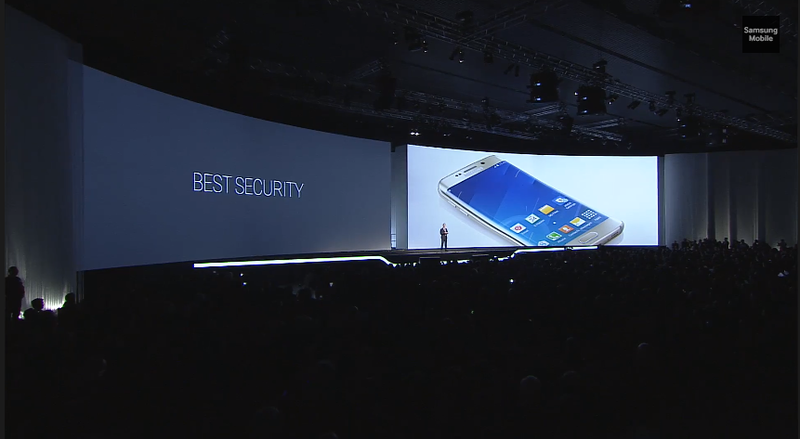 Also, the Samsung claims that this will be the toughest devices in the market. 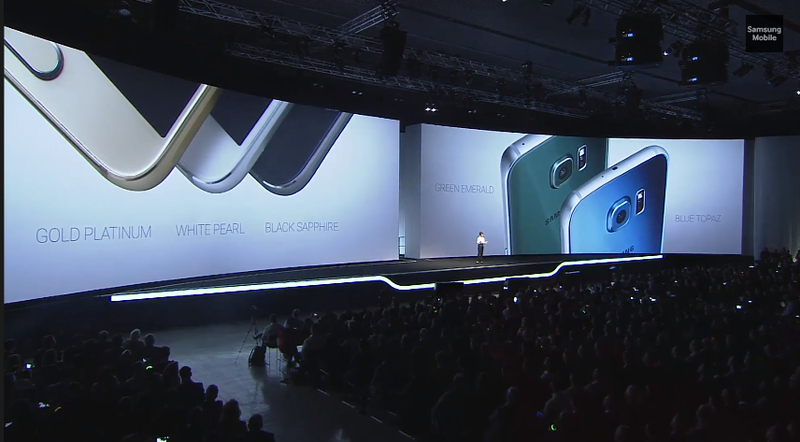 Declares that both smartphones, Galaxy S6 and S6 Edge will not bend. Also, Samsung claims that the UI from Touch Wiz has been cleaned up. That is becoming more flat, and lighter, with color coded. Camera Viewfinder will also be redesigned, with simple icons. Now, the heart-rage sensor do more than just calculating your heart rate, the thing can now used to decline phone call. 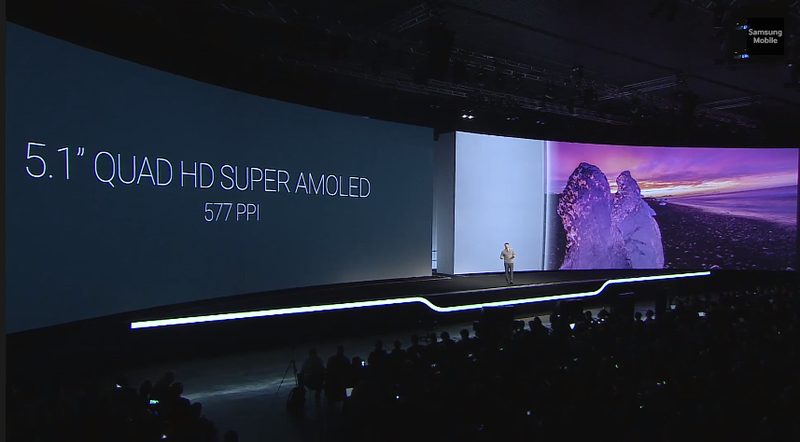 On the performance wise, Samsung puts in its own 64-bit, 14nm source for both Galaxy S6 devices. New universal flash storage is also featured. The display also has been improved, with 77% more pixels. The devices will be featured a 5.1-inch QHD SUPER AMOLED displays. This would, in theory, give you better image and a more enjoyable experience. So, shows like House of Card, will become much better. A new battery is also included on both devices. 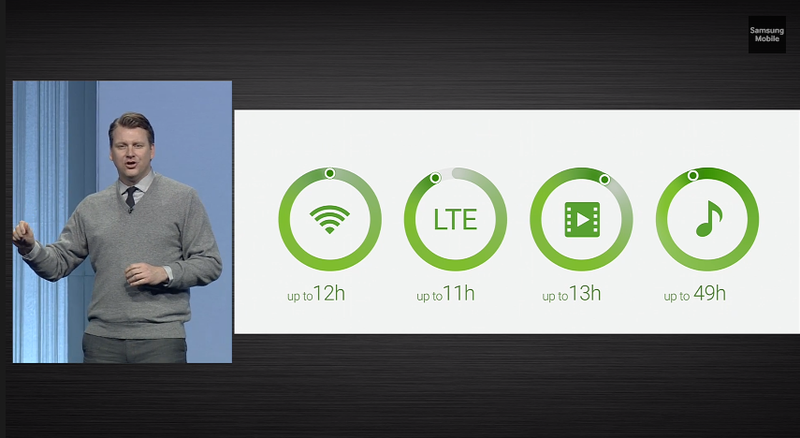 The new battery has up to 11 hours of LTE connection and 49 hours of media playing. Faster charging rates and BUilt-in wireless charging, compatible to both PMA and Qi, is featured. However, the trade-off is a built-in battery. New and improved camera is here in both cameras. 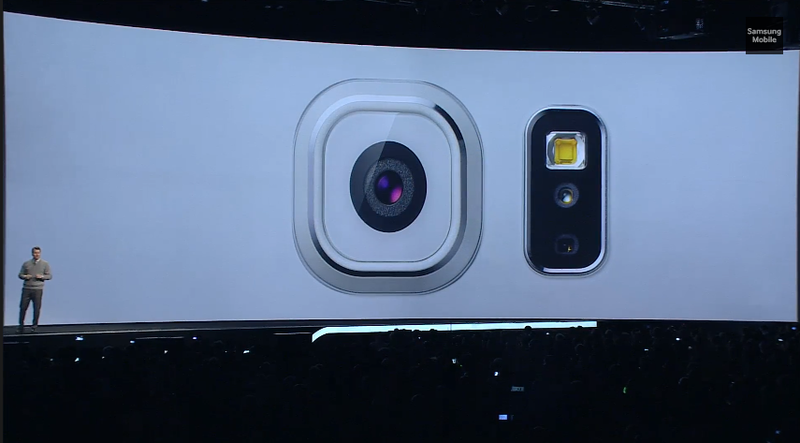 With low light shot, Real-Time shot, and F1.9 shot for the front camera and the rear camera, FF is ranked at 5MP. For the rear camera, it is a 16MP shooter with OIS (Optical image stabilization), with the same F1.9 lens. Video recording is also better, picking up more lights. The camera will also, always be on standby, launches at 0.7 second. New shortcut is built-in in the home button for faster access. 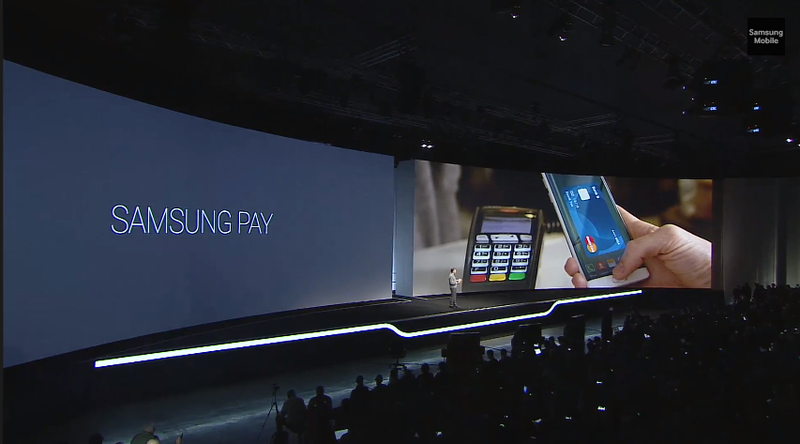 New Samsung Pay will allow you to be used anywhere that accept card swiped and NFC. Just tap the phone to the card readers, and you are paid. Improved Samsung Knox encrypted all your data (if you care enough to use it) as you use it. Samsung also supports a variety of MDM, including Blackberry. 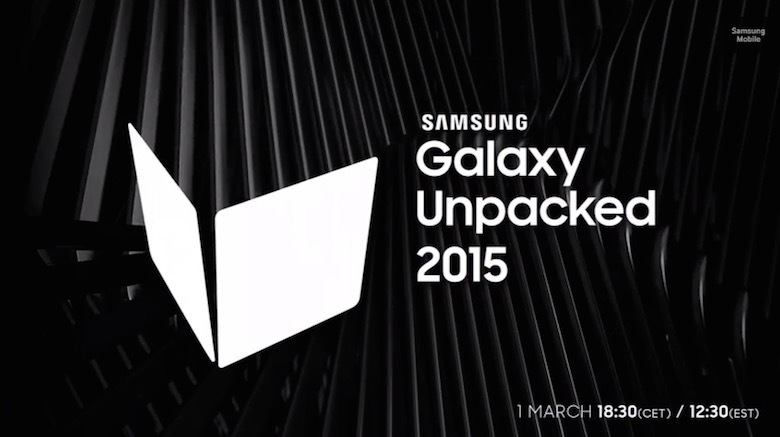 The Galaxy S6 and Galaxy S6 Edge will be available in April 10th, starting in selected market. In the United States, T-Mobile and AT&T both confirmed to be carrying it. However, specific date is not yet to be available.